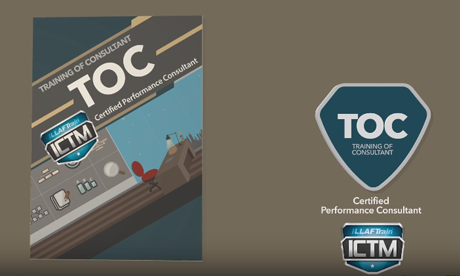 This program focuses on the skills and techniques necessary for consultants. Moreover, the program presents the consulting skills, behaviors and processes relevant to effective internal consultancy, including the actions that must be adopted to achieve the expected results, creating the objectives, managing the expectations and guiding the clients through this process, in addition to building credibility to affect the decision-making process and overcome the obstacles and resistance. The program also includes tests to find a way to face difficult situations, and the need to adopt effective strategies to handle complex administrative cases. This program is for staffs in the human resources department and the consultancy training, who are asked to act in an advisory capacity, either with the clients and external clients, or with the companies in which they work. It is also for new professionals in an internal consulting role or those who want to prepare to take over this role in the future, in addition to the performance professionals and external consultants who want to perfect their own consulting skills. Create Plan to invest in "lessons learned"
Assessing the current strengths and identifying the skills requiring improvement. Distinguishing between the many roles of internal consultants and the benefits of each. A practical model to manage the consulting projects. Creating the appropriate first impression. Seeing the other point of view. Understanding the dynamics of the group. The role of consultant and the scenarios surrounding him. The complex role of the consultant and how to determine it. The restrictions surrounding the consultant while performing his role. The orders required to be met by the consultant, and are they always real? The consultant’s options to perform his role efficiently. The political game and the extent of its impact on the consultant. The relations with the employers. Assessing personal skills in communication and appreciating the significant importance of communication. Self-assessment of personal communication skills. Reading and using body language in communication. Using the proper techniques in communication. How to use the appropriate model and prepare the information to be presented. Ensuring the presentation’s goal is achieved. Choosing and using the presentation’s goal. Controlling the discussion through questions. Roles’ performance in group discussion. Self-image and the projected image compared to the visible image. Dealing and different behaviors, the positive and negative ones. Estimating the contribution you provide to your clients’ activities. Approach of Dr. Stephen Covey for win – win consulting. Final summary and planning to act. Sorting matters according to what is befitting of training and what is not with the performance analysis. Reviewing other obstacles that may affect performance. Performing an analysis for objectives. Using the reference performance plan. Determining how to include management problems within the analysis. Building credibility and increasing influence. Examining the influence style and the inventory incidents’ consultancy. Identifying the mechanism to meet the institution’s needs. Identifying steps to increase influence in cooperation with others. Determining how to promote the consulting services to prospective clients. Explaining and assessing the performance consultancy’s levels. Completing the study of the strategic planning case. Providing the real world tools, functional objectives, models and checklists that can be used directly upon professional preparation. Using success strategies, including working within the organizational limits and providing feedback for senior leaders. Accomplishing the performance consulting inventory. Summarizing and accomplishing your own work plan.